Her first bra for active wear. 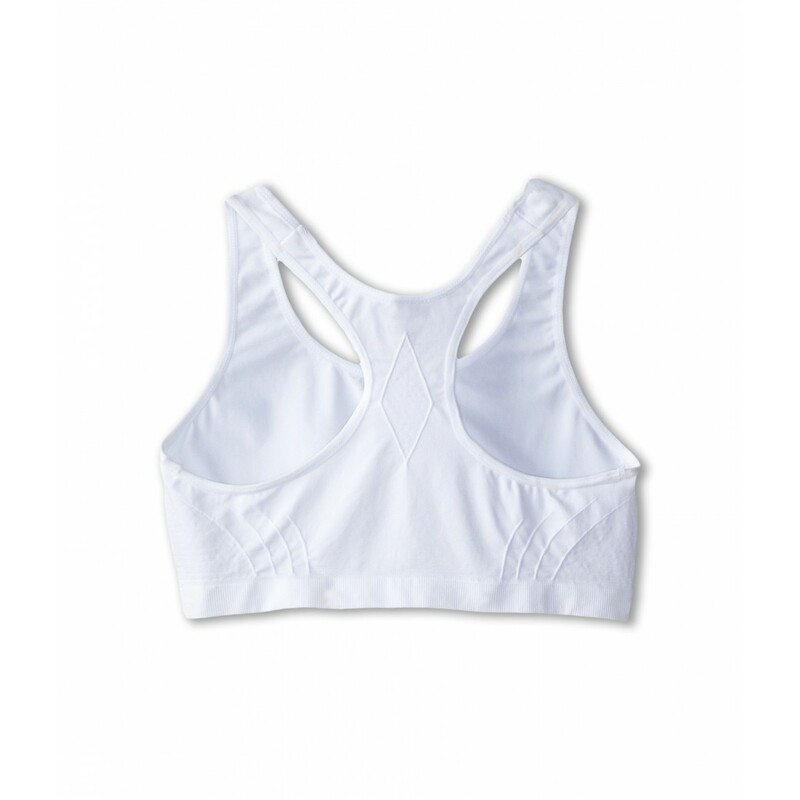 Sports bra is fabricated from a stretch nylon performance blend. 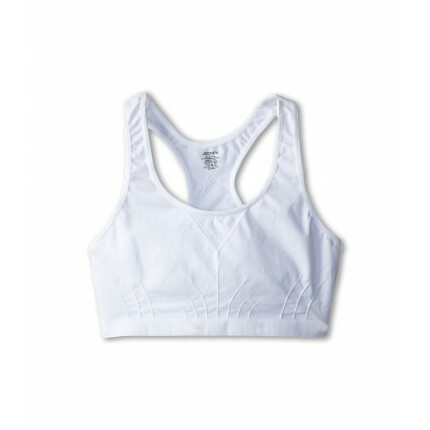 Fabric has moisture-wicking technology for a cool and comfortable feel. Wider straps offer comfort and support. A practical training bra option.